This talk will be in German. 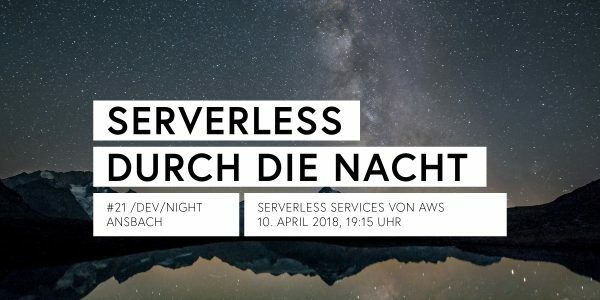 What's serverless? Apart from being just another buzzword? Stefan Siegl will take us on a journey into the serverless world. He'll focus on serverless services provided by AWS and give a brief overview of the services involved like Lambda, API Gateway, DynamoDB, S3 and Cognito. Also we'll look at the "serverless framework" (serverless.com) which is a CLI tool to manage serverless services; and last but not least: how does all that influence the overall architecture.